If i turn on led it must count into serial monitor 1 and if i turn off led and turn on again then it counts 2. To turn on led I must put my hand into LDR sensor. It also looping text in serial monitor "First LDR sensor is Dark". At the moment it counts when it is turned on, like seconds.. How to fix or make it work correctly? 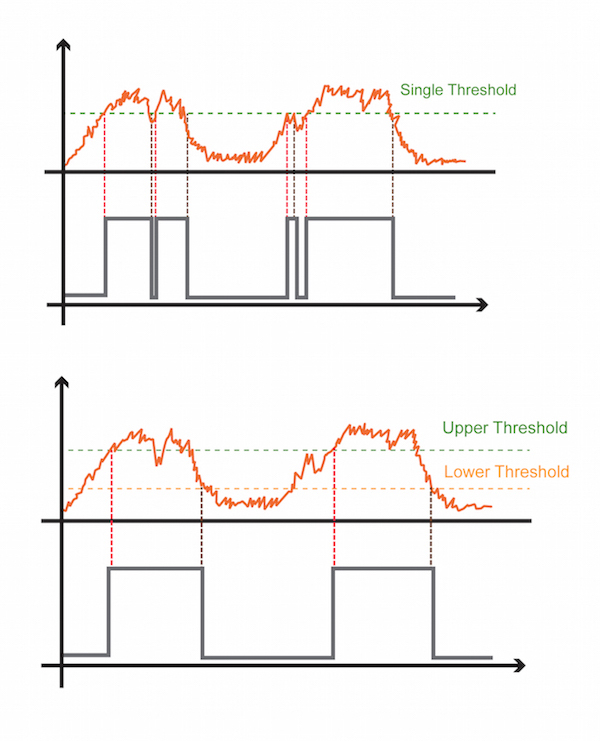 Use state change detection and hysteresis for counting pulses in an analog signal. The red waveform is the analog input from the LDR. The gray rectangular wave is the state (and the state of the LED). The counter is incremented at each black, vertical dashed line. Not the answer you're looking for? 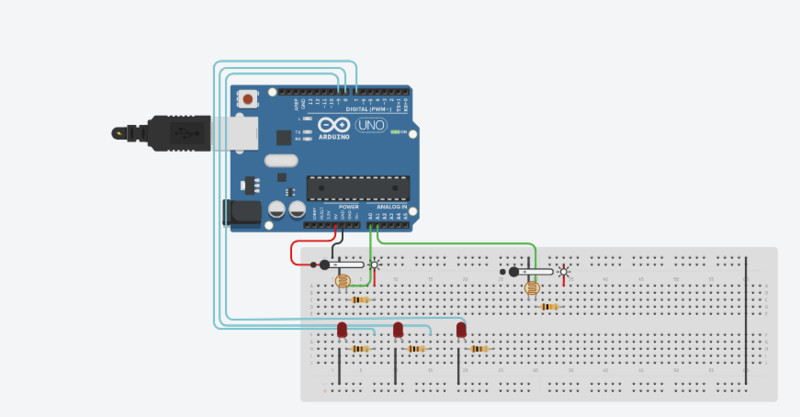 Browse other questions tagged arduino-uno sensors led or ask your own question.